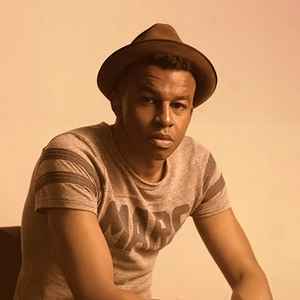 Sinkane (born Ahmed Gallab in London, England) is a musician who blends krautrock, prog rock, electronica, free jazz and funk rock with Sudanese pop. He is signed to DFA Records. Born to college professors in London, he lived in Sudan, then moved to the US when he was five, and lived for some time in Kent, Ohio followed by Columbus, Ohio. Prior to embarking on his solo career, he worked with Eleanor Friedberger, Caribou, of Montreal, Born Ruffians, and Yeasayer as a session musician. Ahmed Gallab is the Band Leader and Music Director of the Atomic Bomb! Band which plays the music of Nigerian Electro-Funk Legend William Onyeabor. The group includes David Byrne (of Talking Heads), Money Mark (of the Beastie Boys), Damon Albarn (of Blur and Gorillaz), Dev Hynes (aka Blood Orange and Lightspeed Champion), Alexis Taylor (of Hot Chip), Charles Lloyd, Amadou and Mariam, Jamie Lidell, Pharoah Sanders, Joshua Redman, among many many others.